The Coco collection features bold Swarovski pearls with Swarovski crystals accents and move effortlessly from career to evening to jean comfort. 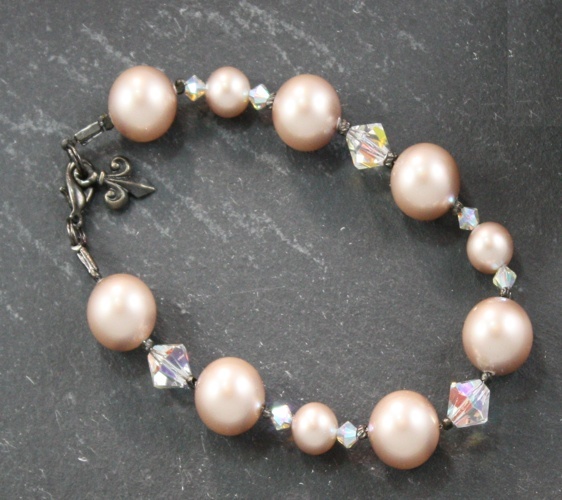 This Cream pearl bracelet is a great addition to ones daywear or evening wear adding just enough sparkle to compliment your style. Coco earrings and necklaces also coordinate with the Grace collection.